Image from the Canon PowerShot camera with CHDK script ‘Motion Detect Plus’. 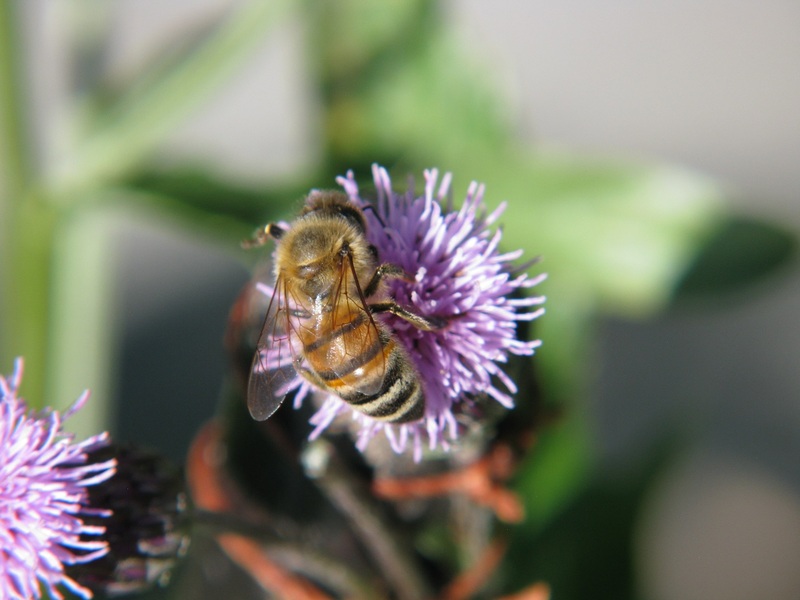 The thistle flower being visited by ♀ honeybee Apis mellifera L.
While writing notes, or recording them electronically, the observer cannot continue focusing on the animal or behaviour in question. Such data then have to be transcribed, with the risk of making transcription errors. Although on-site human observations have predominated, today’s widespread availability of digital monitoring equipment has enabled unique data on flower visitors to be collected. In my research, I have used a time-efficient automated procedure for monitoring flower-visiting animals – namely foraging bumblebees visiting focal white clovers and honeybees visiting thistles. R-scripts, removing the need for manual data entry before analysis. Modelled diel activity of the bumblebees. 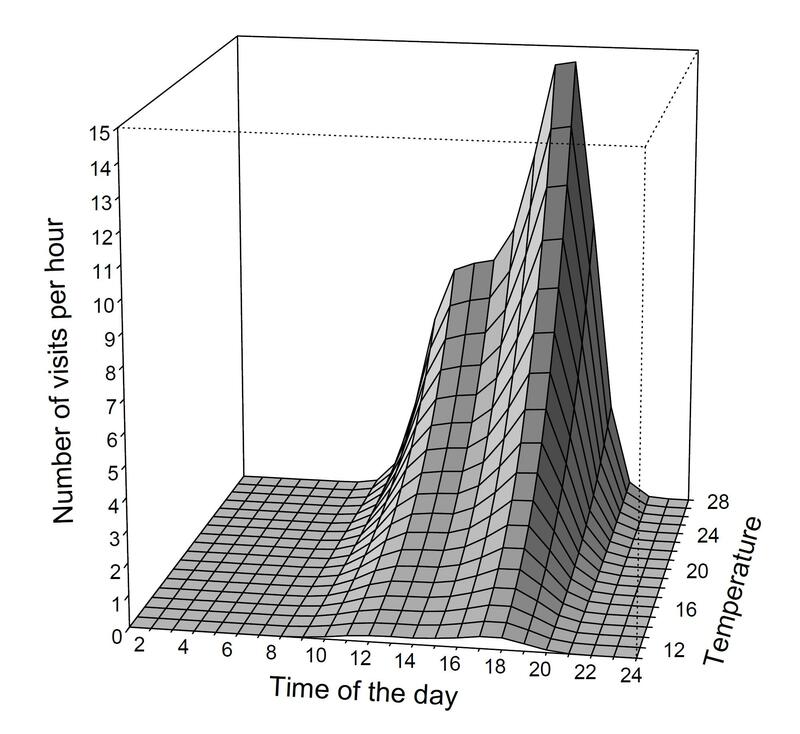 The model included temperature (o C) in addition to time of the day. The use of automatic event-triggered photo and video systems could be used to study a range of different species such as pollinators, cavity dwellers or cavity breeders. Linked with efficient data processing, automatic camera monitoring systems can become an important tool complementing on-site human observations. This would be especially useful for obtaining high temporal resolution data on the scale of hours to round-the-clock measurements for modelling diel activity. To find out more about automatic camera monitoring and data processing, read my Methods in Ecology and Evolution article ‘Diel activity, frequency and visit duration of pollinators in focal plants: in situ automatic camera monitoring and data processing’. This entry was posted in Methods papers, Online extras and tagged Camera Monitoring, Camera Trap, ecology, Flowers, Insects, monitoring, Motion Detection, Pollinators by Chris Grieves. Bookmark the permalink.